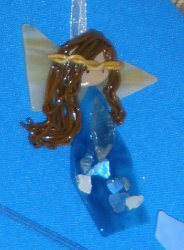 Over the decades I have given away hundreds of pounds of scrap stained glass pieces. I can't remember anyone showing me anything that they have built out of my scrap glass....... ........UNTIL NOW! 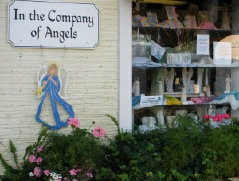 While visiting nearby Fairhope, Alabama, my wife and I stopped into her favorite shop ...."In the Company of Angels". 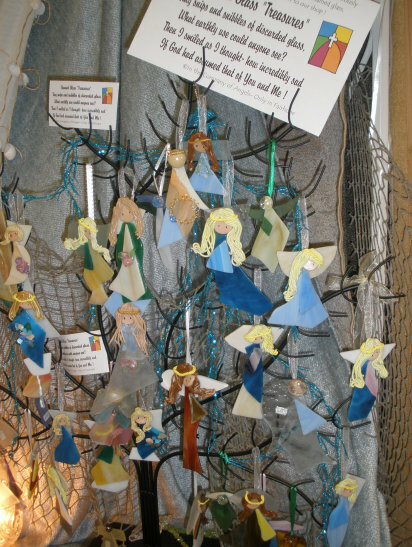 This quaint downtown shop for 22 years has been making and selling hand made items of all shapes and sizes...... most featuring angels or crosses . 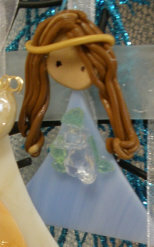 Diane, the owner, gave us the royal tour and showed us some artwork she had recently done using tumbled sea glass. 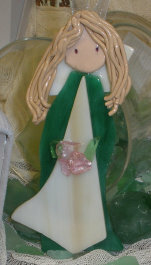 I asked her if she could use a gallon or two of scrap stained glass. She promised to make good use of my "throwaway" glass so, a week or so later, I delivered enough glass for plenty of projects. 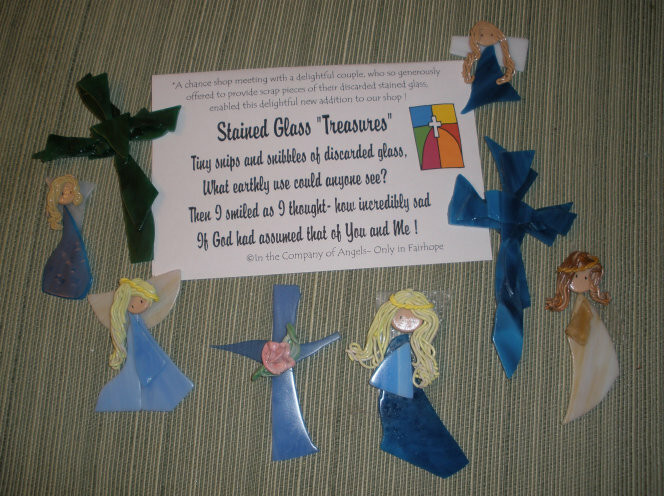 Diane sent a note and picture of some of her first angels made from stained glass ....see her wonderful work to the right. 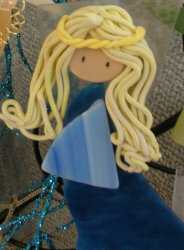 Isn't it amazing what she is doing with previously scrap glass? Be sure to read her inscription. 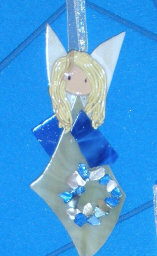 Just a few of the handmade stained glass angels from "In the Company of Angels"